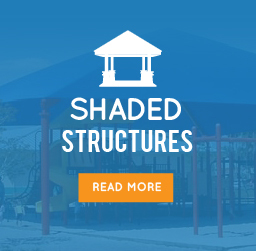 Florida Playgrounds specializes in commercial playground equipment, installation, playground surfacing, shade sail & shade structures, site furnishings, and dog parks. Whether you are a School, Church, Home Owner’s Association or Park we can service all your needs. 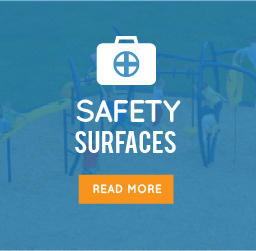 Safety is paramount, and we ensure your playground is designed and installed to the latest national safety standards, including accessibility requirements for commercial public playgrounds. Your playground will be installed with the proper safety surfacing, which is the largest cause of major playground injuries. Appropriate Playground Equipment & Surfacing types include any material tested to ASTM F1292 such as Engineered Wood Fiber (EWF), Poured-in-Place Rubber Surfacing or Synthetic Grass. 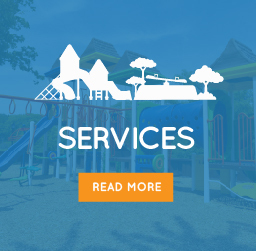 If you have playground equipment or playground surfacing, shade structures, or site furnishings that are in need of repairs, call us and we give you a free no obligation quote from one our certified technicians. We can explain and recommend the right repairs for you. 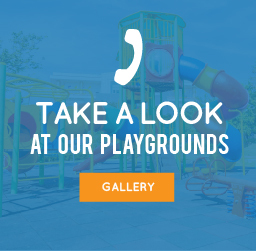 Florida Playgrounds is one of Florida’s largest distributors and installers of commercial playground equipment, playground surfacing, shade structures and site furnishings. 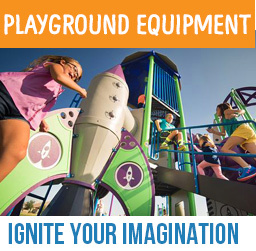 Florida Playgrounds takes pride in being design specialists for public playgrounds. We can cater to the demands of anyone who is looking to add a new playground or a renovate an existing one. We work routinely with schools that want somewhere for the kids to play freely and have a wide age group of kids from kindergarten through 5th-grade, to churches and preschools that have programs infants and toddlers and need to meet criteria for children 6 months old to after-school programs up to 12 years-old. Home Owners association or anyone else that is looking to improve the family appeal of their neighborhood and home values are well-served by improving their amenities areas that include shade and shelter options near pools and recreation facilities, as well as beautifying the entire neighborhood with seating and dining furniture options, to ultimately improving the playground to be a center focus for young families and multi-generational park users. 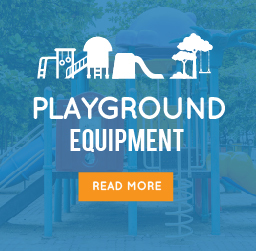 Florida Playgrounds will work with you to design the park that you need and take care of the entire process from creation to working through the building departments and handling permitting, to maintaining and servicing your amenities for years to come. Everything done is to increase the safety and quality of the park. Parents can feel assured that their children are safe with a Florida Playgrounds’ park. Florida Playgrounds does more than just create a park; we also repair and upgrade existing parks and playground surfacing. If your park has broken or worn out playground equipment then give us a call. Our qualified technicians will look over your equipment and give you a free no obligation quote and evaluation. We will also explain what needs repairs and why, and how to go about it. The dedication to safety that Florida Playgrounds has goes beyond our playgrounds and in to yours, no matter who designed and made it. Playgrounds need to be safe for kids of all ages and abilities. 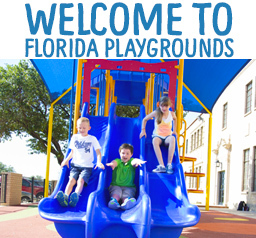 Florida Playgrounds is dedicated to safety and quality when it comes to playgrounds. But don’t think they neglect fun in their quest for safety; they know that playgrounds have to be fun as well as safe. The playgrounds provided will appeal to both kids, parents and multi-generation users. 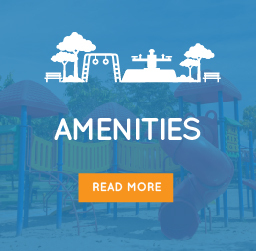 By making your playgrounds and amenities appealing for all users everyone will want to take pride in ownership and maintenance of your investment. 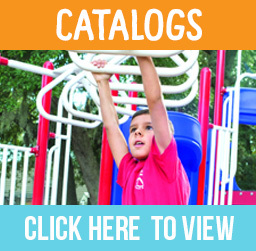 We have a large catalog of designs to help you get started or you can create one of your own with our help.